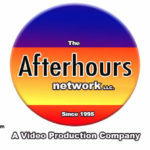 The Afterhours Network is a video production company located in Detroit, Mi. A way to make a presence on the Internet is with a good high quality video commercial. Commercials are an exciting way to showcase your artists, business, event or product. Your commercial can now be placed on broadcast television, social networking pages and can be used in emails. We can film your Television production in HD1080i, 4k and VR 360. We are also excited to announce we have FAA Certified Drone camera operators to get those high in the sky shots and legal too. Editing your Television program for TV and Internet web broadcast our professional editors, graphic designers and special effects designers can add what ever you need to make your Television program ready for TV and Internet TV broadcasting. Have an event coming up and want good high quality video exposure? Videos which can be used for promoting your artist, club or event. Videos that can be used on your website social networking pages and emails. An Event & News Coverage Video is the best way to bring exposure to what you have going on. Your video is edited for Facebook and Instagram to give you maximum exposure to your audience through the power of video. We have the space to shoot and the production crew to do it.